Norwegian PEN awards the Ossietzky Prize 2016 to the whistleblower Edward Snowden. This year it is 80 years since the Nobel Peace Prize was awarded Carl von Ossietzky, an event that we commemorate by holding the award ceremony in the University Aula of Oslo, where Ossietzky in 1936 should have come to receive his prize. Norwegian PEN invites Edward Snowden to receive the award in Oslo on Friday 18 November, and we will do our utmost to ensure that Snowden may receive the prize in person. The Ossietzky prize is Norwegian PEN’s award for outstanding efforts for freedom of expression. The prize is awarded annually to a person or institution that over time, or in connection with a particular issue or event, made an exceptional effort for freedom of expression. Edward Snowden has revealed the questionable, extensive global surveillance and espionage conducted by states on their citizens and on single countries. Snowden’s disclosure of NSA’s surveillance of millions of phone calls resulted in a ruling in the US court of appeals, that the NSA’s storage of telephone metadata is indeed illegal, because it was not approved by Congress. Nonetheless, Snowden has not met any understanding from the US authorities. They uphold the indictment for espionage and theft of government property, and demand he be extradited to the US, where Snowdon may risk a life sentence. With this year’s Ossietzky Prize Norwegian PEN wants to highlight that surveillance may only be carried out within the framework of internationally accepted legal standards for the protection of individual civil liberties. By awarding the prize to Edward Snowden, Norwegian PEN wish to pay respect to the unique role he has undertaken as a whistle blower. The award will expose the need for an international debate on surveillance regarding the boundaries set by international and national law. The prize is also a recognition of the whistleblower’s personal courage during the revelations of governmental/public and secret encroachment on the personal integrity of individuals. This year’s Ossietzky Prize laureate has renounced his personal life and career in order to alert the world to the US government’s surveillance activities. He received the Bjornson prize in September 2015 for his work on the right of privacy, and for being instrumental in heightening the critical awareness to privacy, and to direct a critical spotlight on states’ illegal surveillance of their own and other states’ citizens. In a televised speech during the prize ceremony in Molde, Snowden stated that he was aware of the consequences of his actions. He had expected to be thrown in jail not given awards. Yet, he would do the same again. Thus he also represents a courageous defender of the whistleblowers’ freedom of expression, at a time when massive surveillance threatens freedom of speech for citizens worldwide. Snowden has been instrumental in raising public awareness, and human rights organizations worldwide have supported his revelations of illegal surveillance. It is disturbing that Norwegian and European politicians, also outspoken critics of electronic mass surveillance, hesitate or refuse to comment or support Snowden. 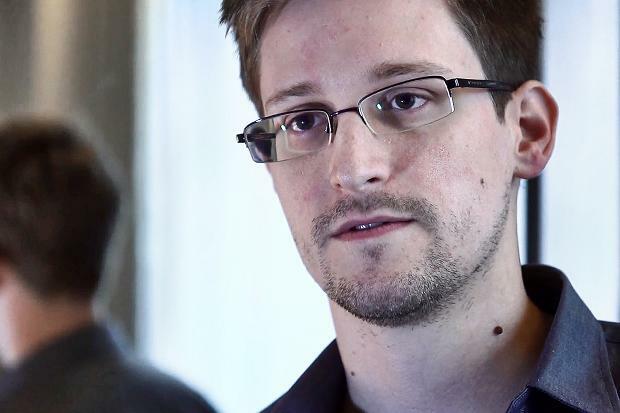 In a non-binding resolution (adopted by a narrow majority) the European Parliament in 2015 confirmed that they recognized Snowden’s status as whistleblower and human rights defender, and urged member states to grant him asylum. All EU countries have an extradition treaty with the US, and so far none of the countries followed the invitation of the resolution. Snowden lives in Moscow. He holds a temporary residence permit in Russia that expires in August 2017. It is high time for a political initiative to challenge the threats towards the prizewinner, an initiative that should conclude with an offer of stay and protection. A suitable start of such a process would be for the Norwegian government to guarantee him safe passage to receive the Ossietzky Prize for 2016. The Norwegian PEN Ossietzky Prize is named after and dedicated to Carl von Ossietzky. Ossietzky revealed how German authorities ran secret re-armament in violation of the Treaty of Versailles. For his revelations he was convicted of treason and imprisoned. Edward Snowden has, like Carl von Ossietzky, contributed to a democratic openness through his revelations. The board of Norwegian PEN decides who will receive the Ossietzky Prize. During the award ceremony of the Nobel Peace Prize in 1936, Carl von Ossietzky’s chair was empty because German authorities refused to let him travel to Oslo. Norwegian PEN asks the Norwegian Government to ensure that Edward Snowden may receive his award in Norway by guaranteeing that he will not be extradited to the United States. Norwegian PEN will do everything in our power to ensure that Snowden will sit in the chair on the stage on November 18 2016.